Nestling snugly in a valley at a distance of 17 km from Nainital on the Almora Highway is the Kainchi Ashram. It has achieved spiritual recognition owing to being the abode of Neeb Karori Baba and the temple of Lord Hanuman established by him. Kainchi is surrounded by mountain ranges covered with forests. A river flows along its eastern and southern boundaries known as Uthar Vahini. To the east of Kainchi, across the river, lies the Gargachal range, where the sage Garga undertook penance. Kainchi has attracted seers and sages since time immemorial and saints like Sombar Giri Maharaj, Kamlagiri and Premi Baba sojourned here to attain spiritual realisation. Baba came to Kainchi again in May 1962 with Siddhi Ma and Tularam Sah. They were on their way to Shitla Khet when Baba suddenly said that Shyam Lal was a very good man. He used ‘was’ instead of ‘is’ and this was a matter of grave concern for Siddhi Ma and Tula Ram as. Shyam Lal was their son’s father-in-law. In Ranikhet they received a telephonic call about the sad demise of Shyam Lal. Baba said that they should return to Nainital immediately. On the way back they stopped at Kainchi. Then he sent for Poorna Nand and the memory of the event of 20 years was revived. Baba was told about the ‘Havan Kund’ (sacred fire pit) where Sombari Maharaj and other saints performed havan and Baba expressed his desire to see that place. He crossed the river with Siddhi Ma on May 26, 1962, and thus put his sacred feet on the spot on which Kainchi Ashram stands today. 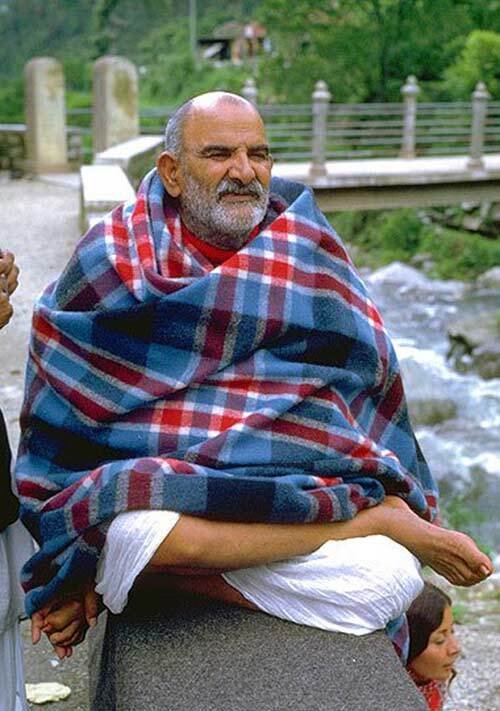 He is known as Neeb Karori Baba owing to a miraculous incident which occurred during the British rule. Satish Mungali, a devotee, avers, “After pur-chasing a first-class ticket, he boarded the Tundla bound train in Farukkabad. At the village Neeb Karori, an Anglo-India ticket checker compelled him to go out of the compartment. Babaji graciously obliged but even after the green signal, the train did not budge an inch. The engine and the whole train were thoroughly checked; everything was in order. Finally after being advised by some Indian passengers, the railway authorities apologised and requested the seer to board the train. As soon as he entered the bogey, the train started moving. “After this incident he became famous as Neeb Karori Baba and a railway station was made in the village with the same name. MP Singh, the In-charge of Hanumangarh Temple in Nainital is of the view, “He is popularly known as the wonder mystic of India and widely accepted as the incarnation of Lord Hanuman. Baba initiated the construction of Hanuman temples in Kumaon and the first temple constructed by him was the Hanumangarh Temple on the outskirts of Nainital in 1953.” The other important shrine was the Kainchi Ashram. The other shrines came up in the Kainchi Ashram later and they too were consecrated on June 15. This day was also fixed for the annual bhandara and ‘mal puas’ are given as prasad. 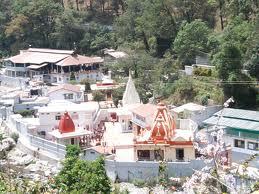 Now every year, lakhs of devotees visit Kainchi to pay obeisance on June 15.